I post a lot of plant pictures on my Instagram because I love them. Basically nature and all things trees and flowers are my jam so, naturally, I love indoor plants a lot too! I could spend hours looking through photos of people’s well-planted homes and can walk around the garden centre near me just smelling all of the herbs! Sadly I don’t have a garden to plant things [I’ve tried, if you want a fun story about this I’ll pop it at the bottom of this post – the joys of living in shared spaces] so I have to try to implement plants into my home. The sadder thing is that my home is teeny tiny! There isn’t much space for anything, really, so I have to be very careful about what plants I get and where I put them… and I have to try to sneak them in without my boyfriend noticing because he is under the impression we have ‘enough’ [a word I don’t understand?! ]; here’s a little sneak peak at what I already have going on [besides my cactus and succulents which are growing on the window ledge]. For fun I figured I’d put together a little dream plant wish list for both my viewing pleasure and yours. Besides, if I have a list that means I can slowly work my way through it until I’m living in a terrarium! Bonsai Tree – I would love, love, love a bonsai tree but I’m kind of scared I’ll kill it? I don’t know if my green thumb extends towards such a beautiful specimen… saying that, I’ve kept my basil plant alive for about two months now so who knows?! Lithops – if you haven’t seen these crazy succulent-type plants before I feel bad for you. I want some, desperately, because they look like aliens and also brains and they’re hilarious little guys! Oxalis – like purple butterflies and very durable. They kinda look like fake plants which I like. I’m a huge fan of big green plants but a purple leaf is so different it’s hard to ignore how beautiful it is! Fern – I love fern because it reminds me of being a kid and running through it and loving how it curls up in cold weather. Green and dainty but easy to maintain, which is a plus!! Snake Plant – I am lucky my dog doesn’t care to chew anything because this, like most plants, is deadly to animals! But look how cool it is! I like plants where the leaves shoot straight up [hello bamboo, I’m looking at you!] and I like the dark green/light green combo. 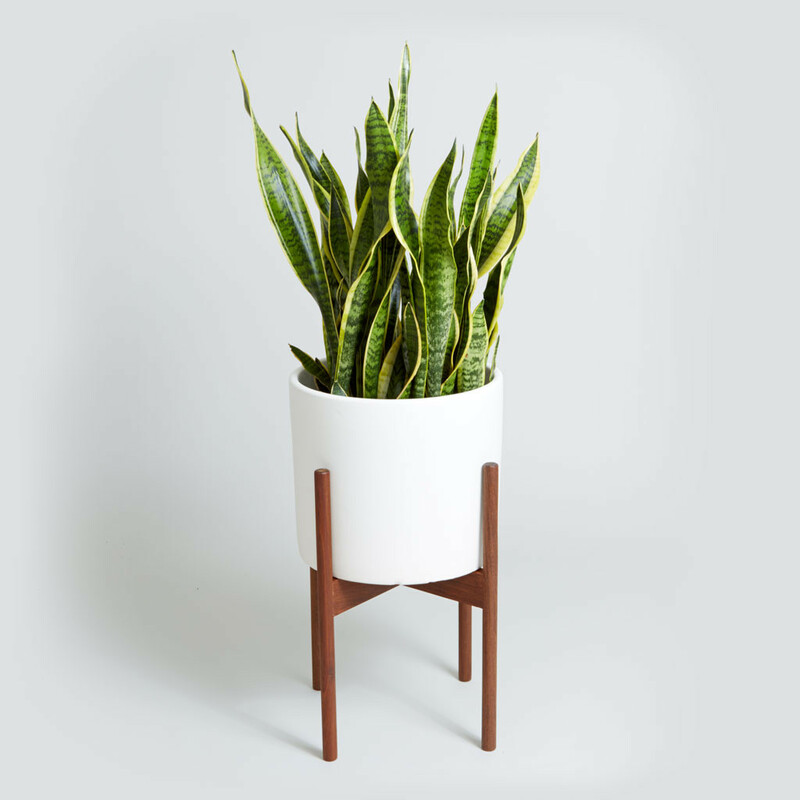 This picture gives me life because we can’t have plants on the ground due to under floor heating so I need a raised plant pot like this in my life! Aloe – because what kind of hippy bish would I be without one? I want to use aloe as a natural remedy; I also know that it’s a plant you can propagate, which I’m excited about because propagation is a cool hobby! Rubber Plant – I love these but they can get BIG… the plus for these is that they’re really good at purifying air so I’m thinking a good bedroom plant? I have asthma and I get wheezy at night for some reason, especially in summer. I’m assuming allergies and I’m praying I’m not allergic to this plant!! 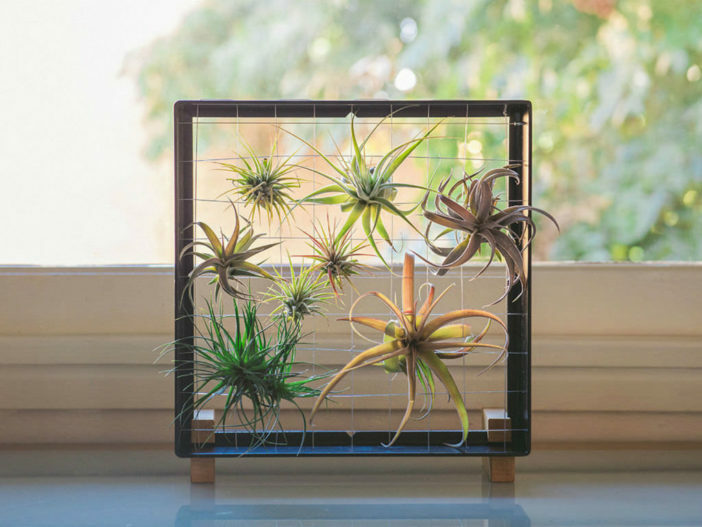 Air Plants – I want want want air plants in my life, particular for the bathroom because we have no ventilation in that room, bar a small window, and so I’m thinking they would enjoy the constant water supply. Also, with them needing a 10 minute soak in water once a week, I’d be less likely to forget it they were right next to the bath!! I love how popular it is to keep plants these days. When I was younger I always felt like a nerd because I would take pride in keeping orchids and poinsettias alive for YEARS and it was a habit to try to sneak new plants into the shopping trolley when I went out with my parents! Throughout the years I’ve grown tomatoes, lavender, basil, chives, and even tried and failed at corn and pumpkins [what was I thinking?!] but now it’s a craze and it means I can learn from other peoples mistakes, which is the way I like to learn [whilst probably making new mistakes along the way]. Are you a happy plant parent or are you holding back on owning plants because you don’t think you can keep them alive? [That’s a common fear, I’m sure!!]. ok – the story I promised at the start! I live in a very small block of flats [there are 9 in this building and, excluding us, 13 people who live here] and we have a small grass space outside our front door with a larger shared garden around the other side of the building. Our small space has a raised planter with flowers in and, silly me, was thinking of planting lavender and coriander in the flower bed for fun and, y’know, to use! I went out and picked some lovely little plants which I left in their pots on top of the soil to get some sun and some rain before I popped them into the soil. A few days later the lavender plant totally disappeared so I left a passive aggressive note on our shared notice board to say it was missing and asking if anyone had seen it… obviously it didn’t reappear. I left the coriander in the pot I bought it in because I was miffed about the lavender and a couple of weeks later the coriander had been turned out and someone had taken the plant pot. I remain miffed at how weird and petty people can be. I have to assume it’s someone in my building who did it because the only other people who come to our door are delivery people and I can’t see them deciding they need a plant or a plant pot in their cars?! Who knows. Growing things indoors from now on! Ah I’ve wanted a bonsai for the longest time! I was about to get one this year, but I have the same reservations as you about them. Thank you for this post! I love plants and I’m really intrigued by some of the ones you’ve suggested – will definitely test out my green thumbs! Yes, let’s be adventurous together! I think I’ll get a bonsai very soon so stay tuned to see how long it takes for me to totally destroy it!!! hahaha! Love the Lithops. Have never seen them before. Bonsai are beautiful. LITHOPS! I’ve only just found out about them and now I need one!!! I’m definitely going to track one down!! Cool plants! There’s no such thing as “enough”.